I would have never thought to do such a thing! I love how functional it is with the herbs and that it looks amazing too! What a great idea! That is such a clever idea and so nice to have the fresh herbs in your kitchen and so handy for cooking. 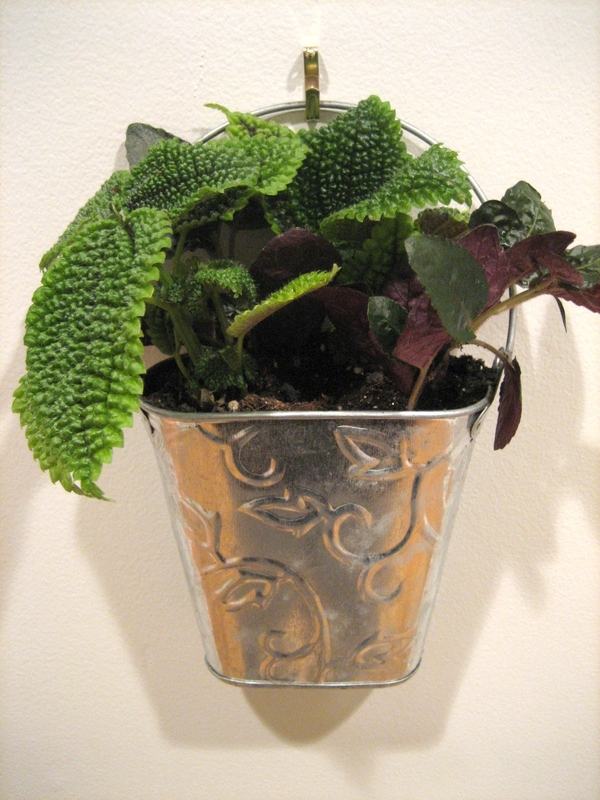 The arrangement looks so pretty on your wall! Your dining area is very nice. Fresh and light! I love the exposed brick that you've painted white. Oh cute idea! I'm totally going to steal it for growing herbs. Love the blog design and LOVE this idea! I would have never thought of it either. This is so awesome!!! Okay, this new blog design makes me want to snuggle up and relax around your blog for long periods of time!!! So amazing girl!!! That is an awesome idea and how good would it smell! So so cute!!! (I still have crafty stuff left over from our wedding too! 12 yrs ago!) 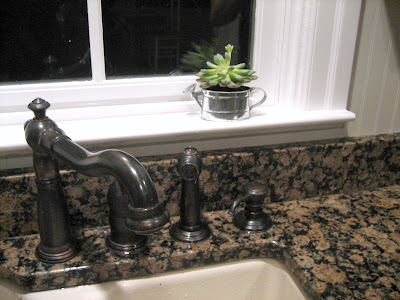 I think as long as you take the plants out of the buckets and water in your sink, then allow the leaves to dry before putting back up against the wall, you should be fine! I am loving the new blog look! And, agree with Cassie. 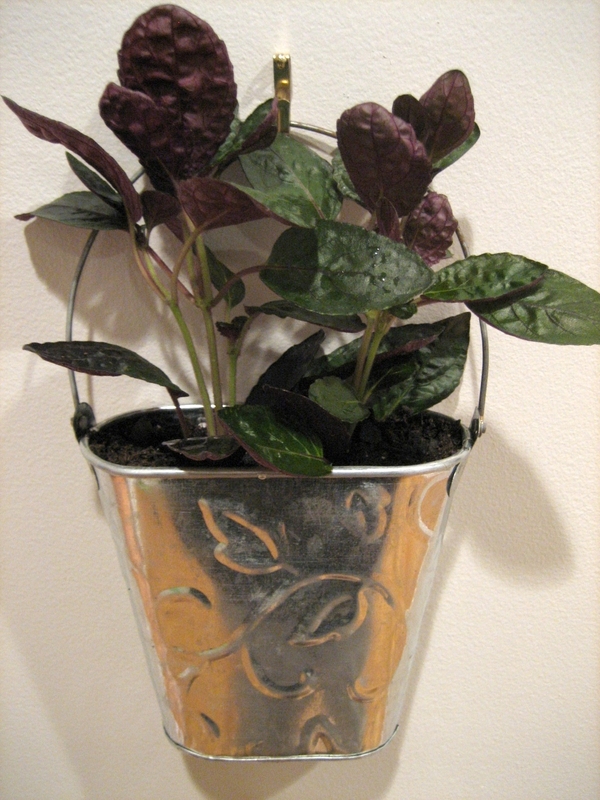 Did you plant directly in them or just put the pot inside the tin? I too was disappointed with the weather...was sooo hoping to be digging in the dirt. With all this rain we are going to have weeds galore! LOVE the new blog and love the wall. This is such a great idea. I LOVE the love buckets!!! And I LOVE the 'blog-lift"- great pic of you too! the buckets are adorable.... and the blog- awesome! i love the bold fun colors!!! i LOVE this. so original. so cute. those are so very cute! 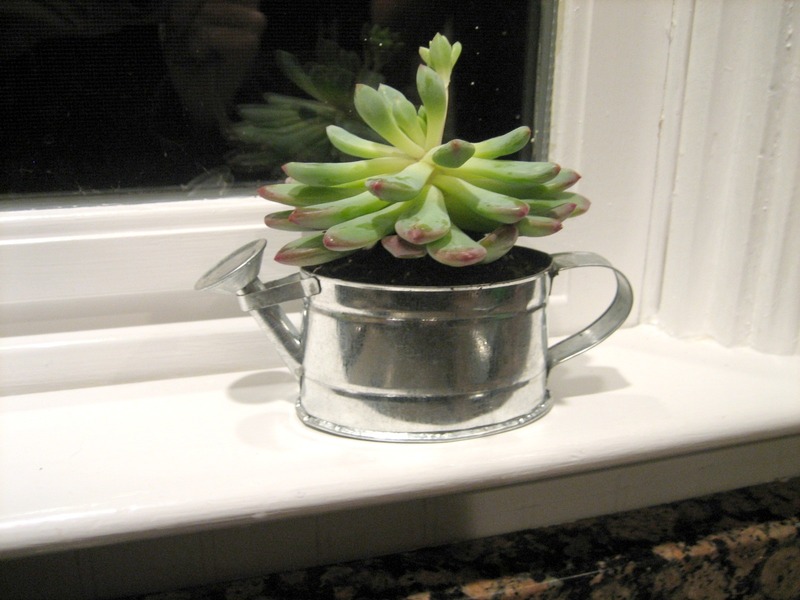 i always have people bringing small potted plants that we end up sticking in random places around our house. what a great way to organize them - thanks for sharing!! Love you new garden wall. Great idea! Your blog looks amazing. Seems to fit with your fun personality. Love the new look and love the garden wall! 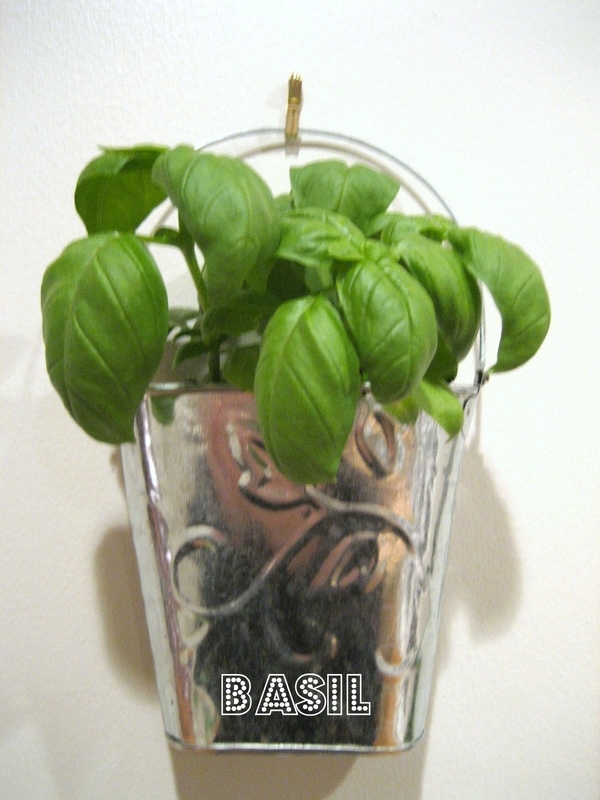 How convenient to have your basil and rosemary right there in your kitchen! 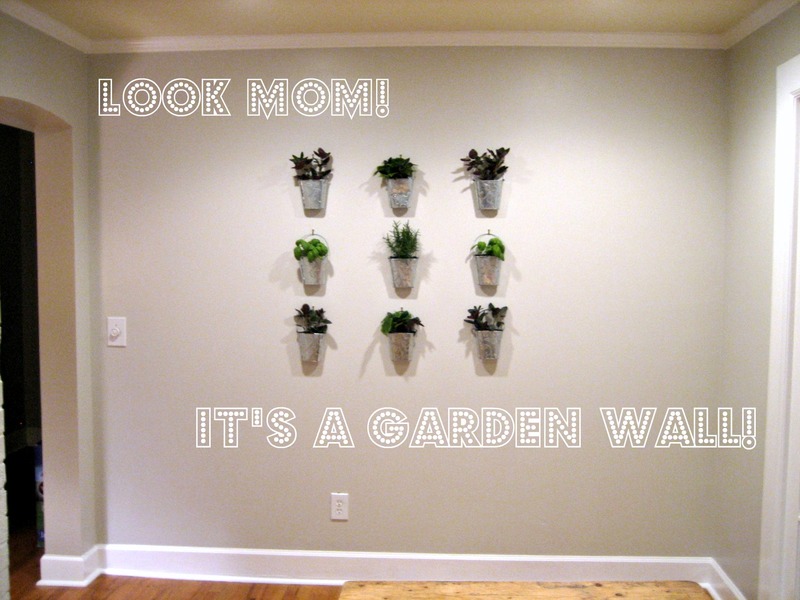 I love, love, love your garden wall and the inside of your home! I'm a new follower. Love the new look and LOVE your blog!! You have such great ideas! Absolutely love your new blog design. I love the colors! And what a great idea to put plants on the wall. 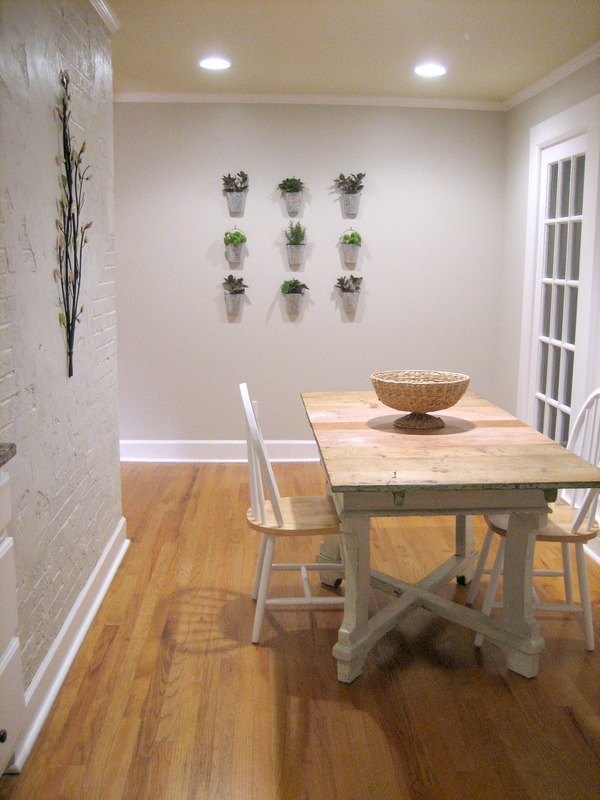 It totally makes the space cheery, and I love that you added herbs. Wow these are so simple, but so amazingly gorgeous! Great idea! love the new blog lift! and that garden wall is so fun! who woulda thought?! Love your garden wall too! What a cute idea! And how great you get to use some of your wedding decor!? I think what I love most is that it is functional~ Love that you used herbs to cook with! Great idea! Love that! Ikea is the bomb dot com. You are just too fabulous for words -- Love the new look, and love this post! I love this look!! 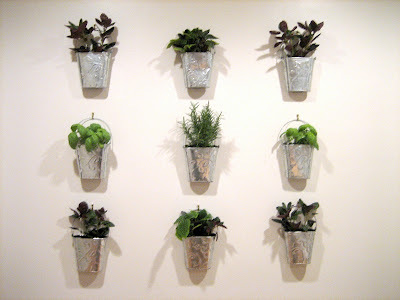 I've been wanting to do this with fresh herbs in my kitchen. 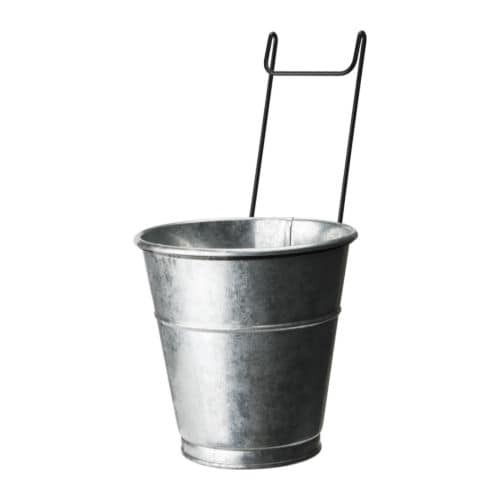 I love the fact that yours aren't just any 'ol bucket- they're from your wedding! How sweet is that?! Great way to use a sentimental item. Love it! So cute Michelle! Gosh, I love your kitchen table! The whole space looks great. what a great idea! I love it! Can't wait to get outside working in the yard! Michelle!!!! Love your blog makeover - it looks gorg!! Also your love buckets are super cute! wow, i need to do this. I also love your new look! Cute and practical! I like that. And if a plant doesn't do so well, it'll be easy for you to switch it out. I also really love the buckets on the wall. I can't wait for Ikea to open up in my state later this year! So love the buckets. What a sweet idea. Happy monday my sweet friend. This is the cutest idea and I'm sure that room smells AMAZING now! Love it! love buckets..what a great idea! they look fabulous! What a creative way to decorate that wall! I love it! Visiting from Centsational Girl and loving your blog! So glad I found it. Seriously awesome! Who cares what anyone else thinks....I bet they will thrive and look so amazing as the fatten up and spill over the edges! I've been toying with an idea similar to this for ages! It looks fantastic! By the way, what color is that on your walls? I adore it! Love the way this all pulls together. 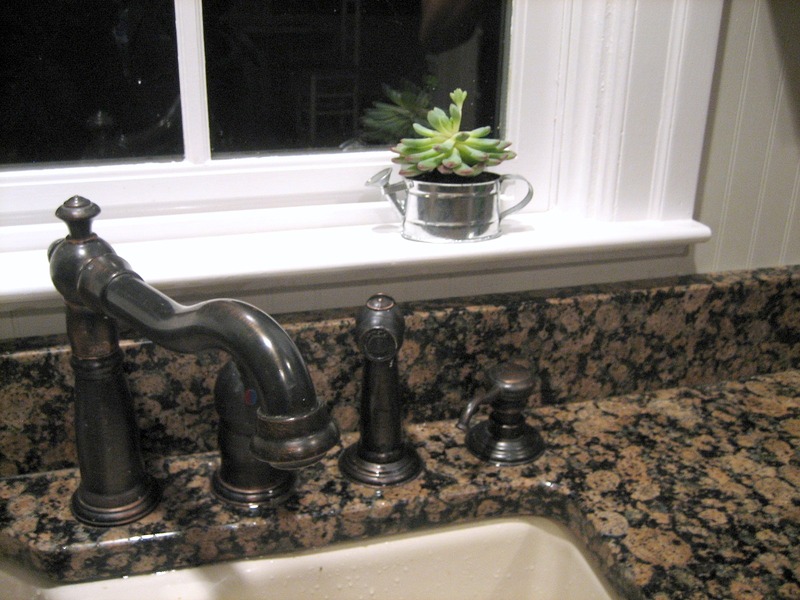 I love having plants in my kitchen, but I get nervous when there's crap all over countertops and windowsills. This is the way to go. And it looks so chic, too. As long as you get good light and water them, you won't have any problem. I can't think of a single rule you've broken - except the 'too darn smart for your own good' rule. Such a cute idea, Michelle! I hate working in a garden, so maybe I should go this route. I might not mind planting in the air conditioning. Haha. oooh i love it michelle! your own little hanging garden! I love the new layout, Michelle!! It's so fancy. I love the idea of a garden wall as well. I might have to try it out. It beats having shabby pots displayed on my patio! WOW I love these! What a cute idea gf! You're right, it totally helps brighten the room. Especially with the aluminum buckets. Adorable. I'm in love. What a simple, graphic and elegant wall statement! Love this. Goodness - I absolutely LOVE this! Your friend Michaela Noelle sent me over, after reading a post on my blog about indoor gardens. And she was right about thinking I might like this! Brilliant idea! Thats a really cute idea. I'm currently using the extra hurricane vases from our wedding on our dining room table. It feels good to put that stuff to use! I'm absolutely smitten with this idea. Gorgeous concept, and perfect results! Wow...this is lovely. Hope to see you at My Dream Canvas! LOVE this idea! I might try doing something similar in my backyard, along the fence... thought I DO REALLY like the idea of having it inside the house!!! Gorgeous! Wait, I love this idea!! How do you water them?? Will there be water damage on the wall?? I want to recreate this!! What a great and super creative idea! Love it!!! I love this. I just featured it on my blog today! Plus, I'm going to follow you. You are so clever! I just found your blog and am your newest follower. This is a super fab idea! Thanks for sharing and creating such an inspiring blog! I love "love buckets!" What a fun concept. Great idea! That is a fantastic way to decorate with a purpose! 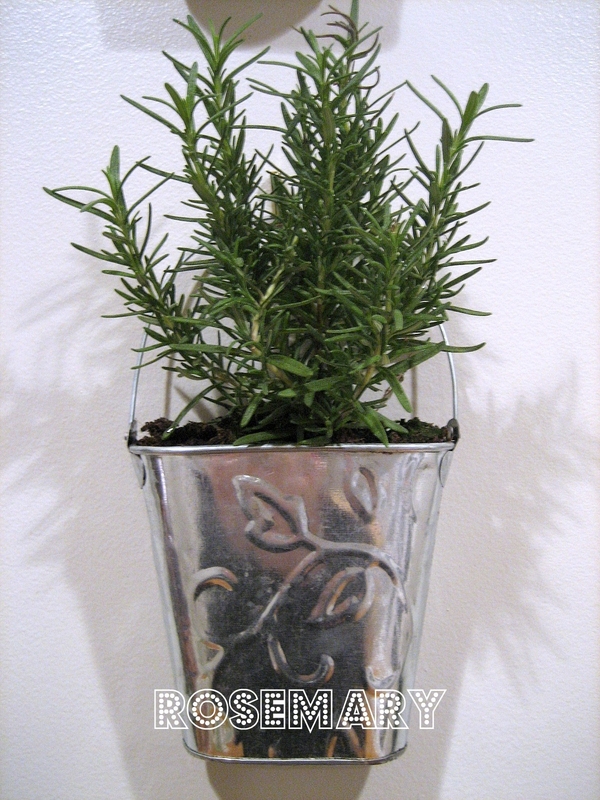 I love that idea and having the fresh herbs is a great bonus. awesome awesome idea. i wanna. i'm quite addicted to succulents, and my wedding is coming up. pretty sure i'll have tons of succulents left over. think i'll add this to my porch! What a great way to bring in the green!!! Thanks for sharing! How are the plants doing? Love this idea!